"I really enjoyed my tour. It was very well organised!" 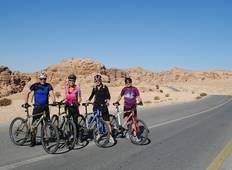 "Glamping in Wadi Rum and a fantastic day in Petra." 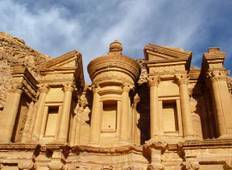 "Jordan has been on my list for such a long time and it didn't disappoint! The trip..."
"I prefer to travel independently whenever possible, but there are certain spots in..."
"Petra and Wadi Rum were magnificent and our guide, Montaser, always knowledgeable,..."
"GREAT GUIDE, ITINERAY , MOST HOTELS, LOCATION , DRIVER , VEHICLE, just not informed..."
"tour was absolutely fantastic, just wished we had spent at least one more night in..."